A lot of us overlook grooming when it comes to caring for our cats. While these feline creatures are low-maintenance and know how to groom themselves, it’s still important to brush and care for their coat! You can start doing so by investing in the best cat brush, which removes mats and tangles. 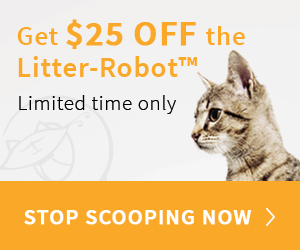 It keeps your home fur-free while maintaining your cat’s shiny coat of fur! But with the many types of pet brushes available, which one is suitable for your cat? To help reduce the confusion, read on as I show you a helpful purchasing guide to the best cat brushes! Through regular grooming, you can desensitize your cat to being handled. Not only that, but you get to establish a connection, with you and your cat bonding to form trust and love. The more trust there is with your cat, the better the relationship will be as you can handle and cuddle him without the hesitation! As long as you brush your cat frequently, then you will be able to address tangles before they turn into mats. Also, you can watch out for any parasites or fleas that might infest your cat and home! Regular brushing also gives you the chance to reduce any shedding hair around the house while lessening the amount of hair your cat will swallow and puke out. When you brush your cat’s hair, it will spread the natural oils which improve their overall skin and coat health. It also gives you the chance to inspect their skin for any abnormalities to address before it worsens. Does your cat have a short, medium, or long coat? Bristle brushes or short-tooth combs are best for short-haired cats. Slicker brushes are ideal for medium-haired cats. Steel combs and slicker brushes are suitable for long-haired cats. Choose the right cat brushes that can help maintain their fur and reduce any shedding. You’ll want to get your money’s worth by getting a cat brush with the durable material to last! I recommend that you look into brushes made by reputable manufacturers, made with the safe and sturdy items that ensure strength and comfort when grooming your cat. You can also look into good warranties! If you’re looking for a reputable cat brush known by many pet owners, then Chirpy Pets is an excellent choice. I like the fact that it’s made of the stainless steel bristles while still staying comfortable enough for your cat to enjoy. Also, it has the superb quality built to last for years! With its effectivity in removing shed hair and a good warranty, it’s worth the investment. The Furminator is another excellent choice if you need a deShedding brush, which comes in different sizes suitable for either short or long-haired pets. It’s made out of the stainless steel and strong handles which are easy to grip. That way, it isn’t only comfortable for your cat but easy for you to use when grooming! I can say it’s another worthy purchase for its versatility and strength. The Hertzko Self-Cleaning Brush comes in an innovative design that doesn’t only remove mats and tangles but also cleans itself in just one push of a button. I was amazed as to how much time I saved brushing my cat with its soft and thin bristles and cleaning the brush up. My cat feels comfortable when I use this on her and I enjoy its convenience! Safari Pet Products offers another excellent slicker brush which is also self-cleaning. I like its affordability compared to other brushes with the same features. Plus, it tugs out all shedding hair while maintaining a healthy coat! With its comfortable stainless steel pins and effectivity in reducing shedding fur, I would recommend it for any cat parent on a budget! It does the job simply and efficiently. And finally, we have the DELOMO pet grooming glove, which is one of the easiest ways to brush your cat without him feeling comfortable. He’ll feel like you’re just cuddling or petting him! The brush is made of soft bristles which are effective hair removers, getting shedding hair out gently. You can also use this as a bath brush! This deserves five stars for its versatility and eco-friendliness. You don’t need to spend hundreds of dollars on grooming when you can do so in the comforts of your home. With the right cat brush ideal for your cat’s fur, there won’t be any worries about discomfort over matted coats or tangles that cause hairballs around the house! My top recommendation for cat brushes goes to the Chirpy Pets Cat Brush, which is one of the most popular and multi-functional brushes out there. It removes shedding hair while treating mats and tangles comfortable. With its strong materials and comfortable stainless steel bristles, you and your cat won’t have any trouble during at-home grooming sessions. Plus, it comes with the robust, durable materials that are built to last for years! Hopefully, this informative purchasing guide on the best cat brush helped you find the ideal product for grooming your feline buddy. So what are you waiting for? Check out any of these awesome brushes out now! Do you have any questions or want to share your tips and reviews on the best cat brush? Then do comment down below. Your thoughts and reviews are much appreciated.